After analyzing survey results on the impact of containers on application integration efforts, the editors at SearchITOperations.com, and I have worked together to create a comprehensive guide on the management skills you need for containers in 2018. 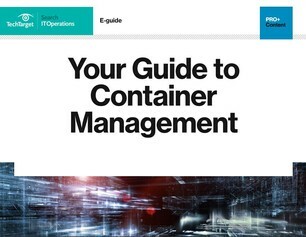 Open Your Guide to Container Management to see what we’ve learned. You’ll get our thoughts on prominent containers-as-a-service challenges, deploying containers in production, and all of the peculiarities of containers that will help you in your management strategy.